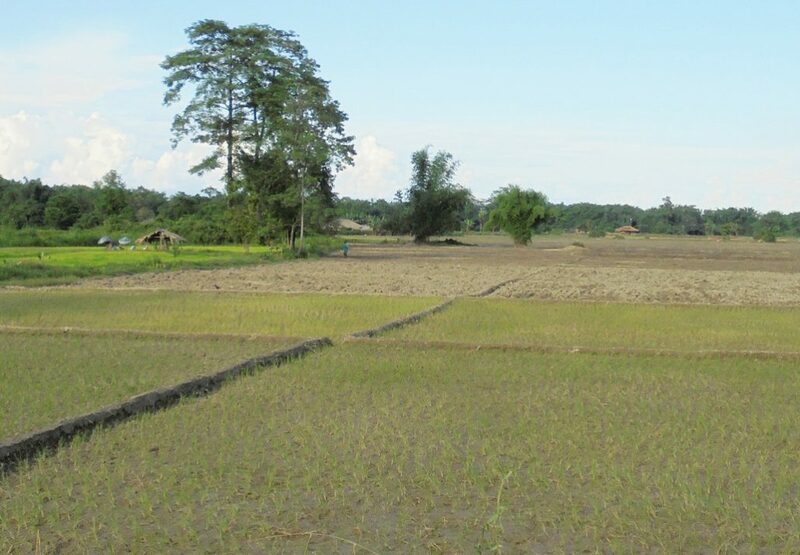 Scorching heat due to scanty rainfall has affected wet cultivation in the rice bowls of Siang valley in Arunachal Pradesh, which has been a matter of worries for the farmers of the region. Siang valley including East Siang and Lower Siang districts bordering Dhemaji of north Assam has witnessed scorching heat due to scanty rainfall for last couple of weeks and the farmers of the region are keeping their finger crossed, staring at the skies and hoping for last wave monsoon rain of this season. The region experienced the season’s hottest day with the mercury level crossed 40 degrees Celsius on Sunday. However, no case of any heat stroke-related death has been reported so far in the area. The fortnight-long dry spell has not only elevate the mercury level but also led to drying up of natural irrigation channels, perennial streams and nallahs at Pasighat, Mebo, Ruksin in East Siang and Nari-Seren and Koyu areas in Lower Siang districts, which is considered as rice bowl. The water level in the mighty Siang river and its tributaries is also receding due to scanty rain. According to Agriculture department officials of East Siang, the Agriculture Development Officers concerned already paid field visit and submitted report about drought-like situation observed in major rice cultivation sites. The district administration, however, is yet to declare the district as ‘drought affected’. Meanwhile, the local MLAs of three assembly constituencies of East Siang district have visited the drought-hit farming sites in their respective constituencies and taken stock of the disparaging situation. They would also place the report before the state government for taking up compensatory cultivation scheme for the drought-hit farmers, who survive on agriculture and allied activities. Similar (drought-like) situation has been reported from Nari-Seren and Koyu area in Lower Siang district, wherein the farmers have demanded state government to take up effective step for mitigation of the drought- like situation. “Our rural farmers are worrying over the drought-like situation as more than 500 farmers not yet planted paddy due to lack of water in the crop fields. We have been demanding the government for arrange alternative cultivation to meet the shortage of cereal crops,” rued Rari Riba, a public leader of Koyu. The Indian Meteorology department report during June this year said that Arunachal Pradesh and four other northeastern states including Assam were facing deficit monsoon rain. The State with 511.8 mm of rainfall till end of June, recorded a 32 per cent deficit rainfall against the normal of 749.1 mm. Water Resource division at Pasighat has recorded 640.70 and 1003.50 mm rainfall in the months of June and July this year respectively. The department has recorded only six rain days in the current month till date.